Prague, city of a thousand spires and a place I feel perfectly at home. Equal to Paris for beauty… arguably, far superior in my opinion for atmosphere and charm…. one of the world’s enchanted gems. Around every corner, a myriad of cobbled streets, gaslights, hidden courtyards, beautiful churches and breath taking architecture full of mystery. Beautiful during the day and magical at night - an urban photographer’s dream. Influenced by turbulent history, from Bohemian Kings to the Velvet Revolution and all still evident today. 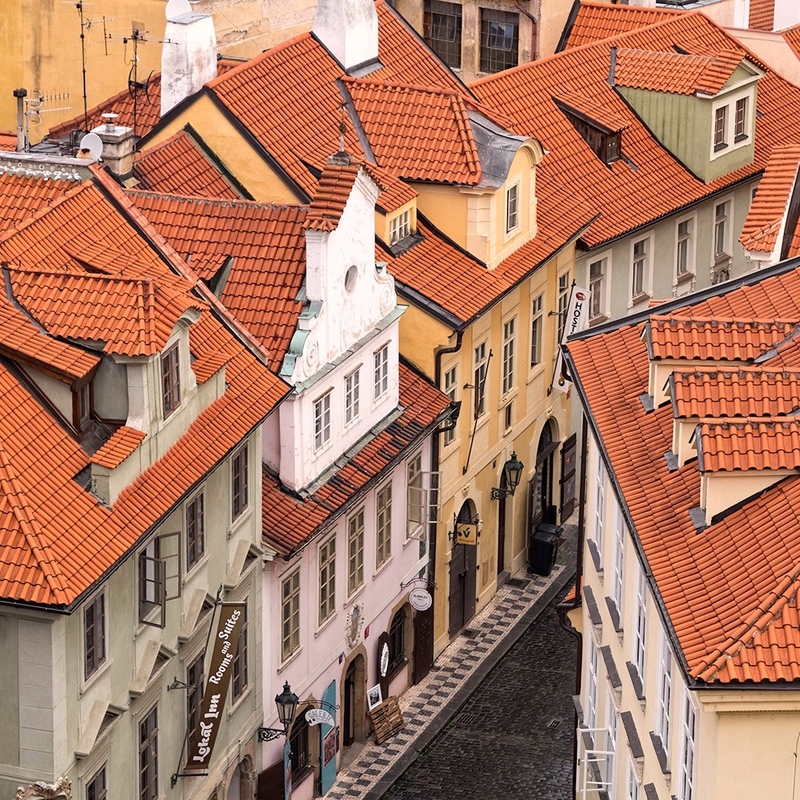 Prague's maze of meandering lanes is a paradise for the aimless wanderer, always beckoning you to explore just that little bit further. We have a fabulous base located almost adjacent to Charles Bridge on the Malá Strana (Little Quarter) side of the Vltava. This puts us in very quick and easy reach of most of the iconic locations. During these three special days in this magical City, we will explore the charm of Malá Strana and Karluv Most (Charles Bridge). The enchanting cobbled streets of Staré Město, with her Old Town Square and its fascinating Astrological Clock. As well as the historic Josefov (Jewish Quarter) and the splendour of Hradčany, with the beautiful streets around the Castle....just some of the locations we will be visiting. I have graded this workshop as requiring a ‘moderate’ level of fitness. Where possible, we will walk everywhere as I feel this is the best way to see Prague. This includes walking on cobbled, sometimes uneven streets, steps and some uphill walks. Prague also has a fantastic public transport system, which we will utilise if needed. The tour is designed to maximise our time making images which means we will be putting the hours in! I have visited Prague on many occasions and I never ever tire of her mood, atmosphere and obvious beauty. I love the people, the food and of course, the famous beer but most of all I love her honesty….it would be my pleasure to share it with you, I hope you can join us. Thank you for your enquiry regarding my new Prague Workshop..I’ll be in touch very soon.